We shift again from classical art into modern architecture. Do you think you can digest another Forum picture?. I am sure you can. 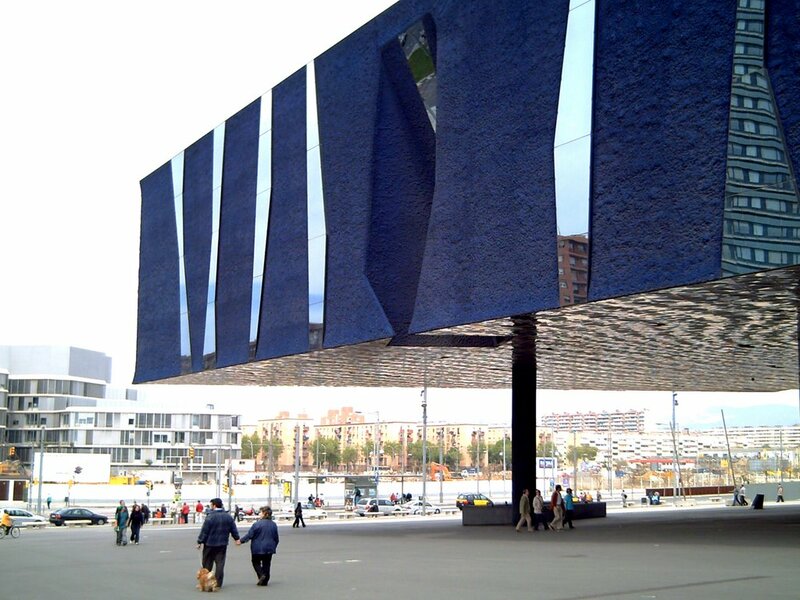 The Forum Building is a big triangle that reminds me of an enormous blue vessel sailing the Mediterranean Sea. 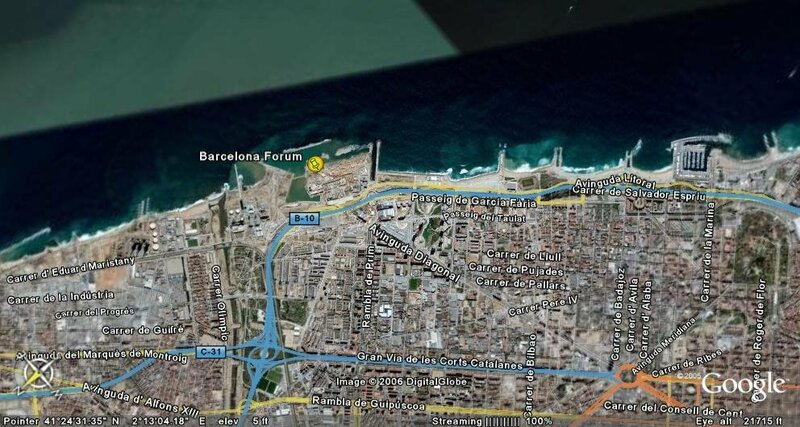 The structure is surrounded by Diagonal Avenue, Rambla de Prim and the Ronda Litoral. Designed by Herzog and De Meuron it features an auditorium with a capacity to hold 3,200 people right under the Forum Plaza. The building measures 180 meters and rests on 17 pillars. From it, the exhibit hall and the roof of the auditorium are suspended. The exhibit hall covers nearly 5,000 m2. Check one corner of the triangle in this picture and one pillar here. 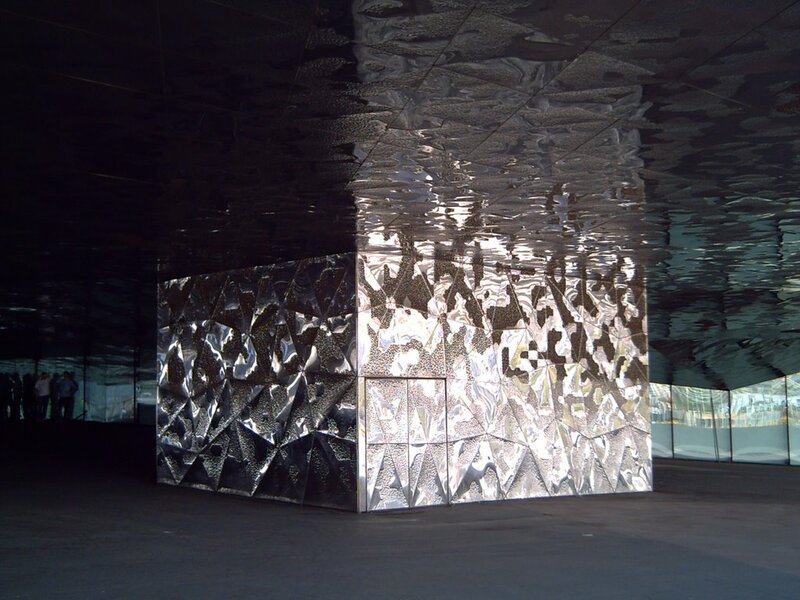 Cool photo Carlos, creates an optical illusion, a triangle or the corner of a rectangle. Nice shot. There's also water on the roof - I'm not sure whether it's intentional but you can see it from the otehr parts of the Forum site. Very interesting! 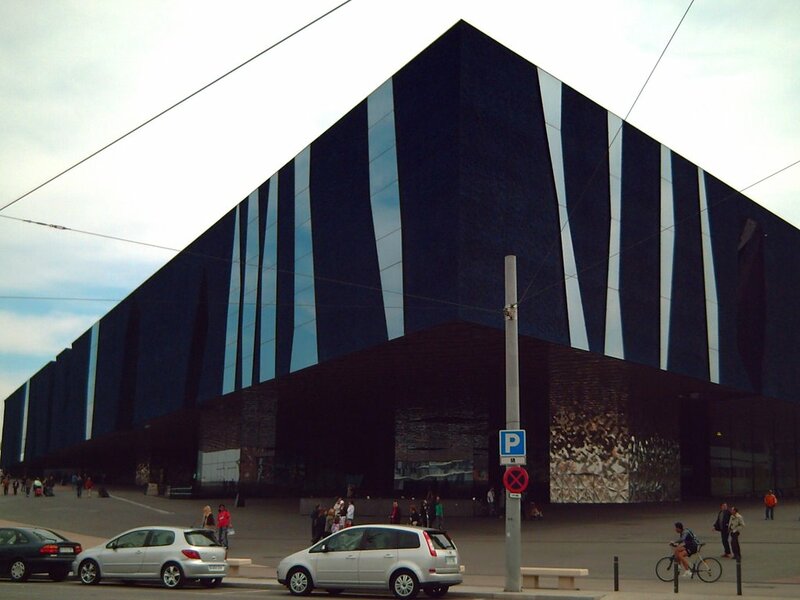 When I come to Barcelona the forum will definitely be a place I'll stop by! Nice photo! Barcelona has some great looking buildings. Carlos I like your random link of the day! Good idea! Hi Carlos...checking in after a week away...very interesting photos you have of the forum...I like the one with the stones :-) and good perspective of this one.